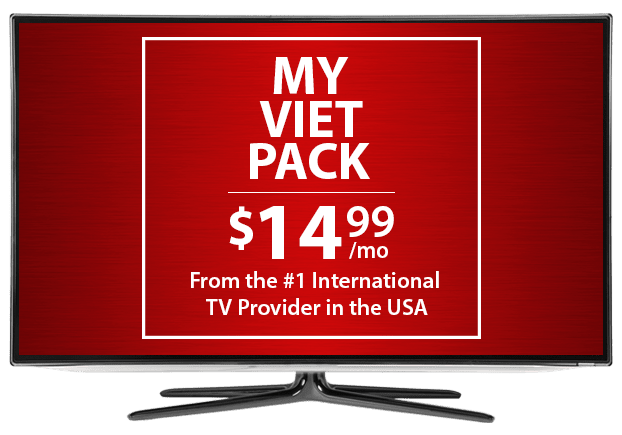 Vietnamese TV Channels From DISH – $14.99/mo. Customize your TV package with Vietnamese TV channels from DISH! The romantic dramas, music and sports action your family loves are available with the My Viet add on pack. When you add Vietnamese channels to your DISH subscription, you don’t have to worry about buffering and other issues you encounter when streaming international TV. DISH delivers the best of Vietnamese TV straight to your living room! Vietnamese families can add TVB VietNam and NBA TV to their DISH TV package with the My Viet add on pack. For $14.99 per month, enjoy in depth basketball coverage from the NBA and serials in Vietnamese on TVBN. All the best action and drama is available from DISH with the Vietnamese TV channels in My Viet. Personalize your Vietnamese TV package with extra channels from around the world, including Willow Cricket HD, NDTV 24*7, France 24 and more. Enjoy more news, sports and global entertainment at a budget-friendly price with these add-on packs, designed with international families in mind. Want to start watching channels from Vietnam at home? Subscribe to any DISH TV base package and add the My Viet pack! Base TV plans are available for as little as $17 per month. Choose from basic international, Chinese, American and Latino options to find your best entertainment value.